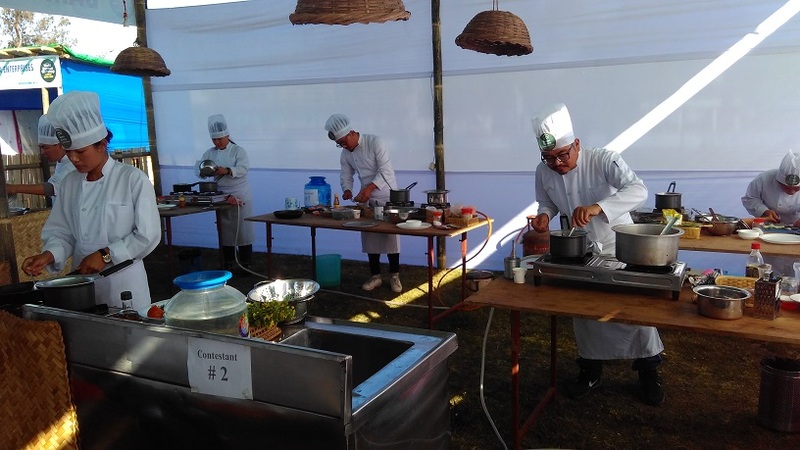 A bamboo cooking competition was held in the ongoing five-day world bamboo workshop in Imphal, the capital city of Manipur. The festival is organized in a move to promote different uses of bamboo and its products in cooking, by unearthing its exotic taste using different approaches of and present it with an aesthetic presentation. The competition was organized by Dimapur based Exotic School of Cooking, in collaboration with POPA Restaurant in Imphal from February 4-6. A total of nine cooking enthusiasts including four men and five women of different professional background contested in this one of a kind competition where an experienced chef took a master class on each day. The cooking enthusiasts competed in three rounds of cooking – signature, mystery and vegetable rounds for the three consecutive days where contestants uses their knowledge, innovation and skills to prepare an authentic dish using bamboo and its products as the main ingredient. A panel of three expert judges from the industry including two from Manipur and one from Nagaland scrutinized the competition based on taste, quality of work, presentation, degree of difficulty, food knowledge and professionalism. 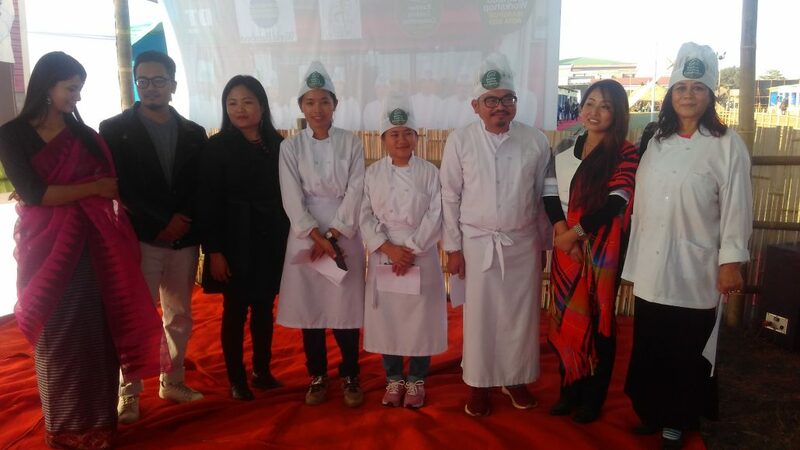 Stating that food is part of our life, Alemjungla Jamir from Dimapur when asked about the importance of holding the competition in such an event, said the idea is to motivate the younger generation to popularise and save our indigenous cuisines so that it travels well beyond the borders. In the final cooking, Dr Nelson Loitongbam bagged the first prize and went home richer with a cash prize of Rs 25,000 with certificates, gift hampers while Yurrinchon Keishing and Zingyatphi Hungyo took the second and third prizes. Keishing and Hungyo also got a cash prize of Rs 15,000 and Es 10,000 and gifts. 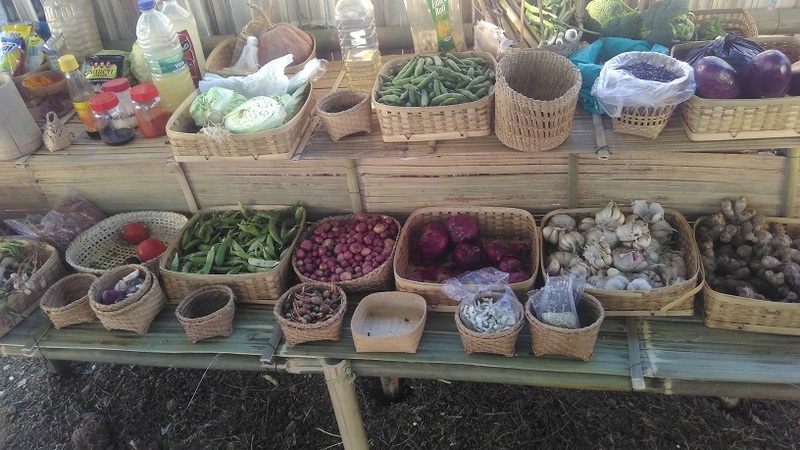 Some of the bamboo dishes prepared by the contestants during the bamboo cooking competition include – ‘Soibum Biriyani'(bamboo shoot biriyani), pork cooked with dried and fresh bamboo shoot, ‘khajing soidon kangshu’, ‘Mangal laiwa ooti’, ‘yen soibum kangshu’, ‘soidon nakuppi kangshu’, etc.